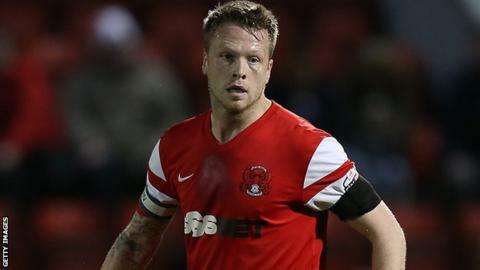 Leyton Orient captain Nathan Clarke is adamant the club can move away from danger in League One but says the squad must remain united in order to do so. "As players, we believe strongly that we can get out of this," the 30-year-old centre-back told BBC London 94.9. "You're only getting out of it with team spirit, teamwork and everyone pulling in the right direction." He added: "That includes the manager, the staff and the fans." "When things aren't going too well you need to stand up and be counted." Orient finished third in League One last season and were eventually beaten in the play-off final on penalties by Rotherham. The east London side were taken over by Italian businessman Francesco Becchetti in July and, following the addition of several new faces, the departure of manager Russell Slade to Cardiff and an injury crisis, have struggled so far this term. The O's have failed to win a league game at the Matchroom Stadium this season and are one point from safety. "We need to stick together, stay strong and fight our way through this," Clarke said. "Yes, there have been a lot of changes - but that is football. We need to put that to one side. "The group is as strong as last season, even though results are not going for us. Meanwhile, Clarke says manager Mauro Milanese has been "very positive" since he was appointed last month. The 43-year-old took over from Kevin Nugent, who had been in interim charge, after Slade left for the Bluebirds in September. "With all the things that have been going on, Mauro is trying to get the confidence back and the players positive," Clarke said. "He is very organised and, being Italian, is very focused on the defence and shoring that up. "The language thing isn't so much of an issue as people think. He gets his point across and everyone understands what he wants."